Panama is just full of surprises. 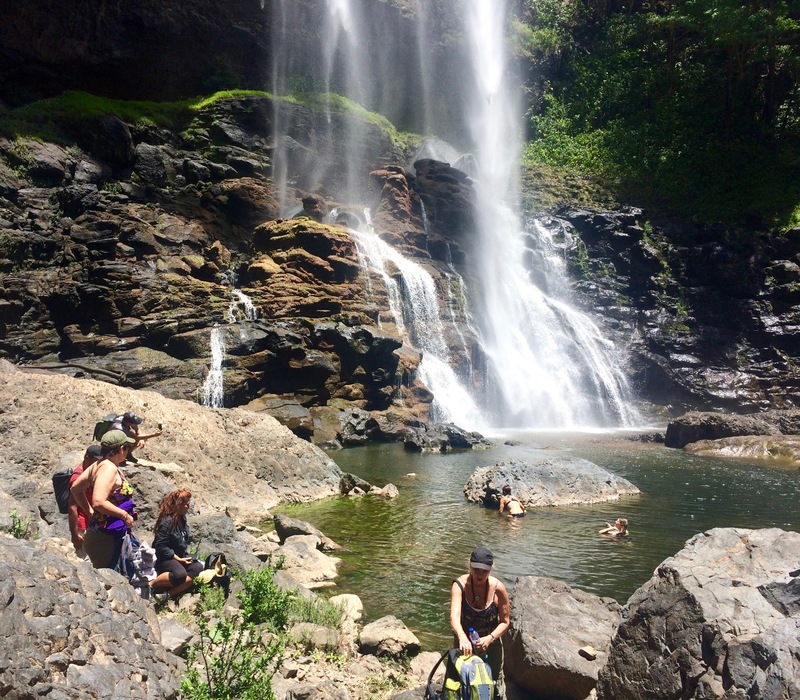 Just when we think we’ve hiked the most spectacular trail, climbed the highest volcano, or swum under the most amazing waterfall, something else comes along to top anything we’ve done before. 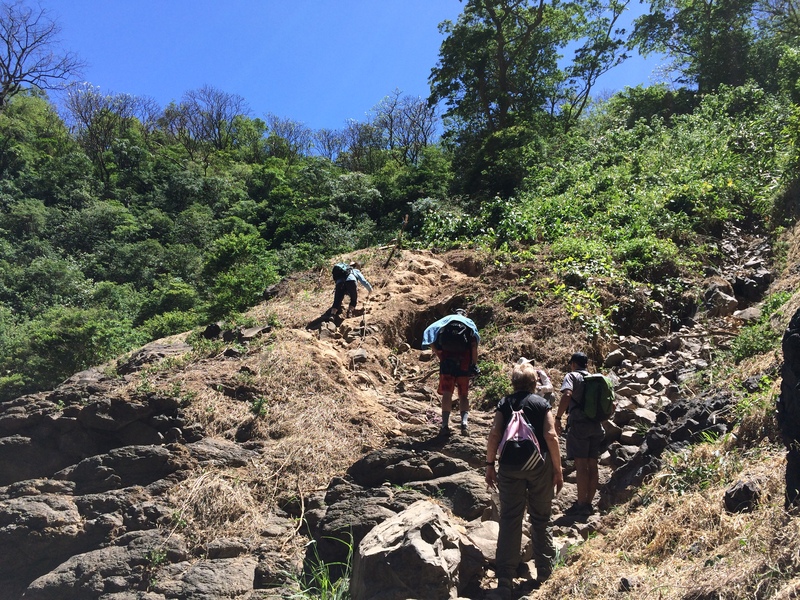 That happened yesterday when we joined a group of friends to hike to Salto de KiKi, which (depending on whom you ask) is either Panama’s tallest waterfall or its widest. 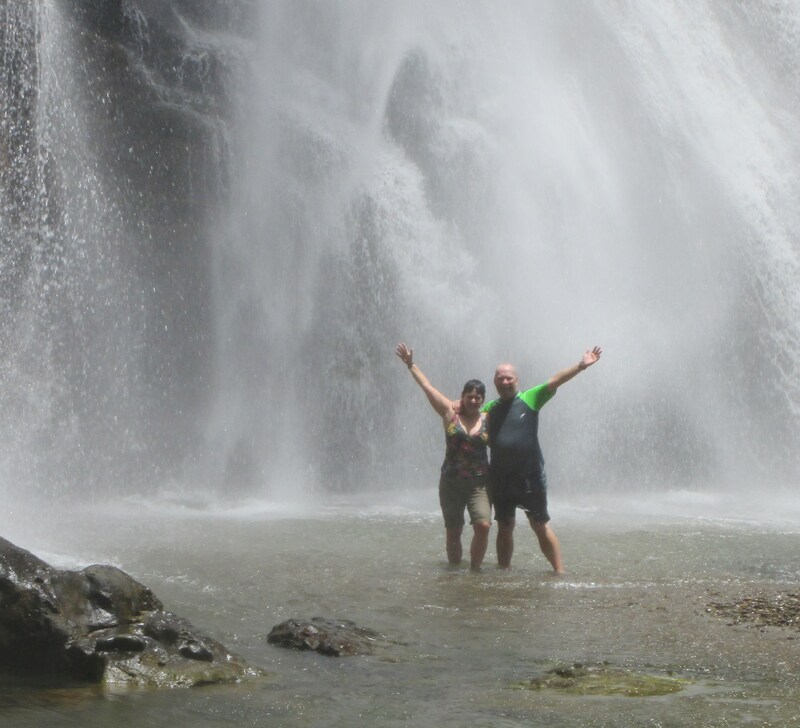 John and I have seen or swum in our share of waterfalls in Hawaii, Costa Rica, California, Canada, Oregon, and now Panama. I think he’ll agree that KiKi is up there with the best of the best. It plunges several hundred feet into a huge bowl-like canyon, and at its base is the most refreshing swimming hole you’d ever want to find after a hot, dusty climb down, surrounded by plenty of rocks for sunning. 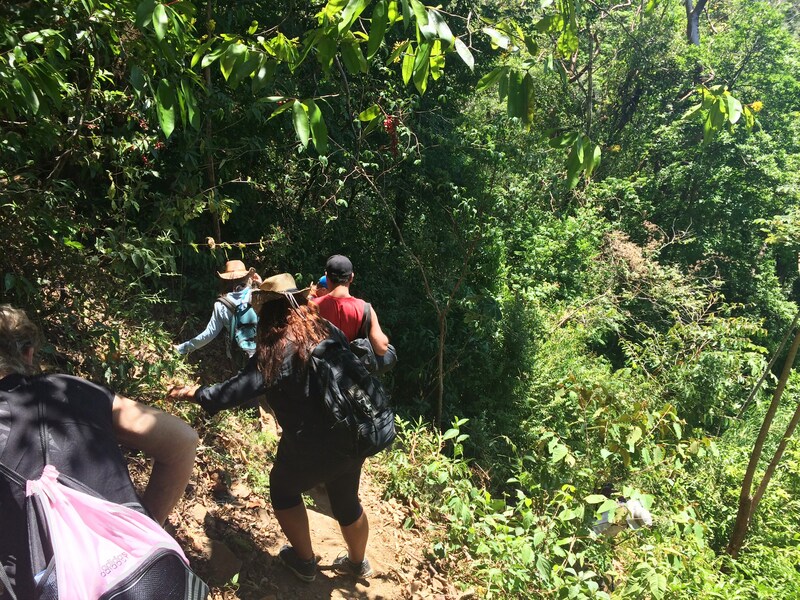 Getting there isn’t easy and definitely requires a guide – mainly because KiKi is deep into the comarca (designated territory, kind of like a reservation) of Panama’s Ngäbe-Buglé indigenous people. 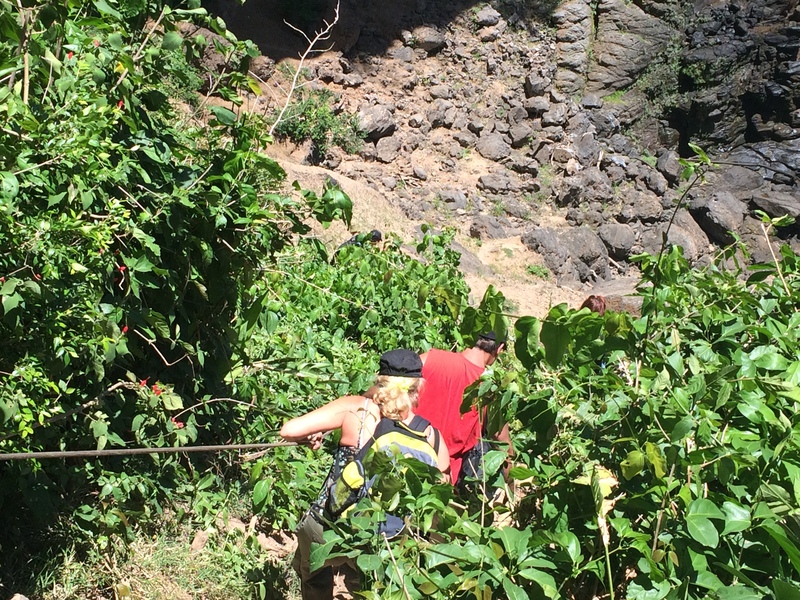 Accessing the falls requires a fairly steep, rope-assisted climb down into the canyon and back up. Because it’s so remote, we had it all to ourselves on a beautiful Saturday, and it has an unspoiled, undiscovered quality that made us feel we were living a scene from an Indiana Jones movie. The waterfalls just keep getting better. I think that’s a pretty good metaphor for life, or at least the life we’re striving for! 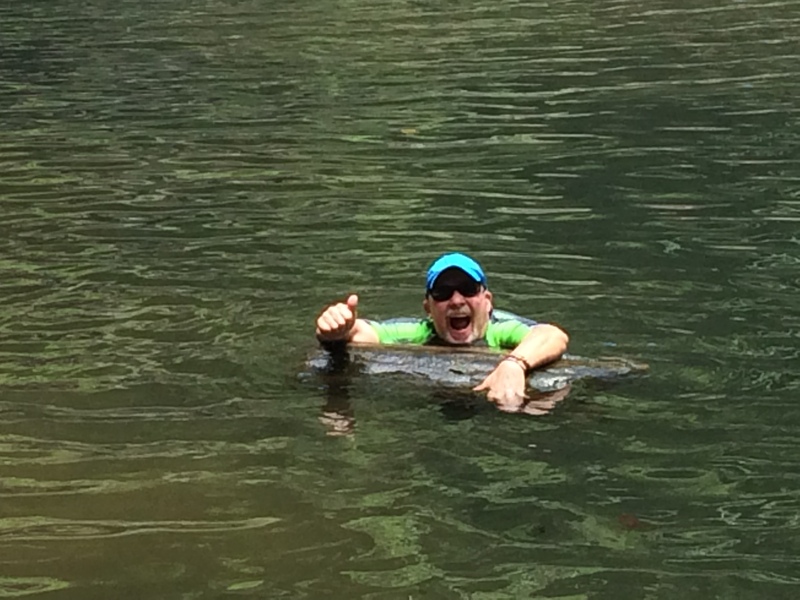 Some of us couldn’t wait to get in the water! Looks like a great day, and a very wet one! 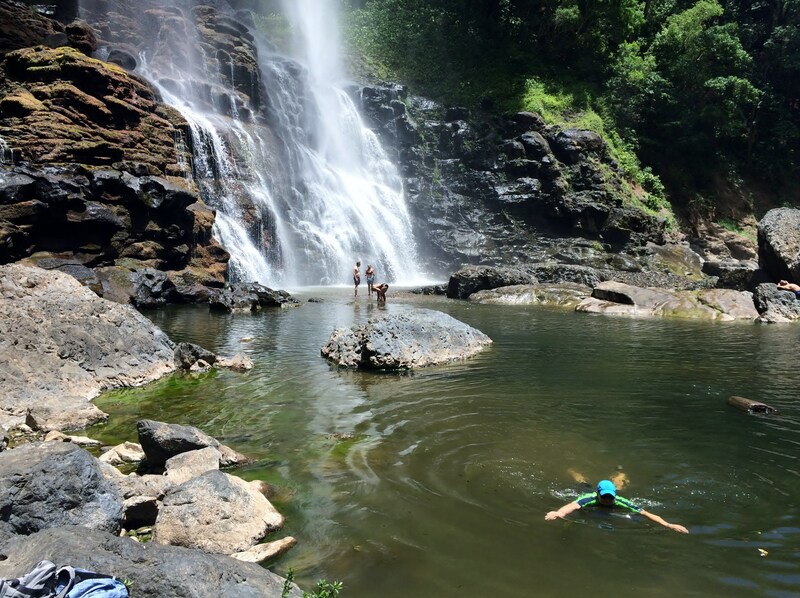 The pictures remind us of Hanakapiai falls on Kauai. It’s at the end of the trail, deeeeep in the interior of the NaPali Coast, and very refreshing…once you get there. Glad you’re having fun, keep it coming! 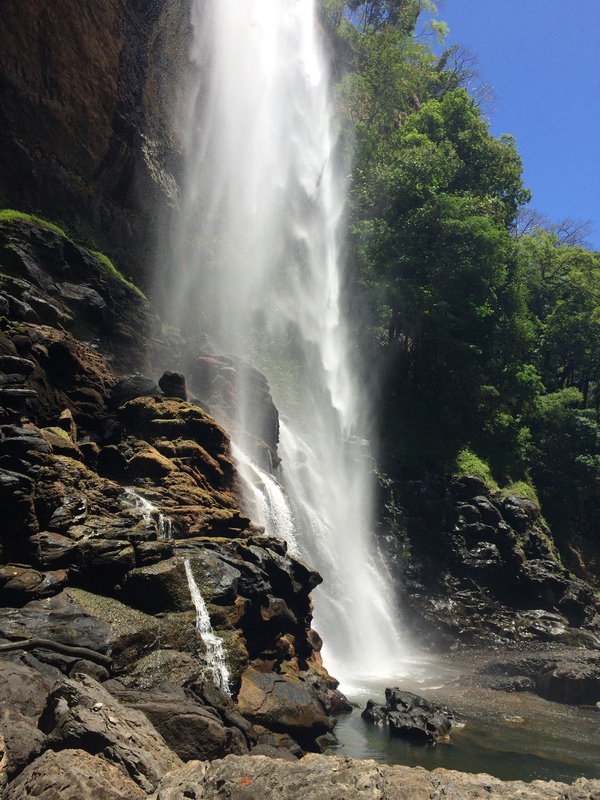 We’ve hiked to those falls twice – spectacular! Thanks, MeBe. 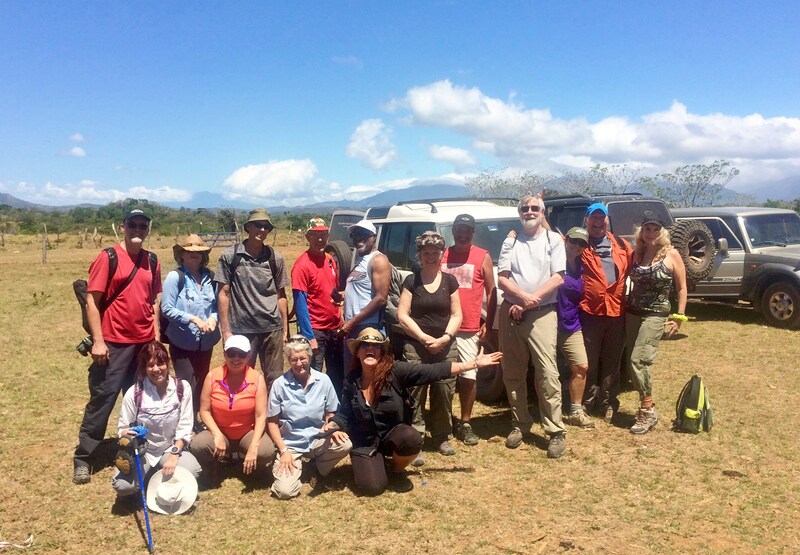 Another great adventure by Panama’s greatest travelers! Wish I was on this hike! Not sure I would have made it down the hill though! The “hits” keep coming! I know they will never end – lucky for all of us. Isn’t it the truth, Anita? Thank you! I would like to send your photo’s to my daughter & granddaughter that live in Kauai which is also my second home. I tell them that as much as I love Kauai that there are places in Panama that can equal that islands beauty. (They have never understood how we could leave such a beautiful place.) 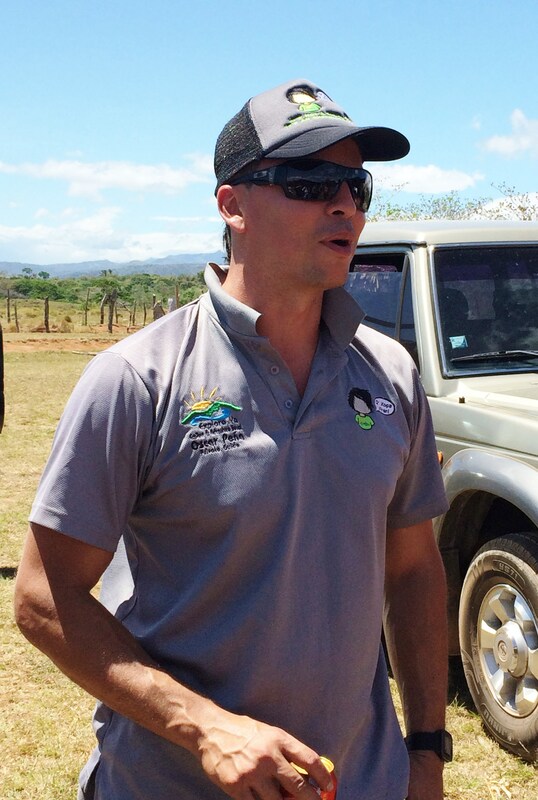 Thanks so much for sharing your awesome adventures! Did you know that KIKI in Hawaiian means baby or little? 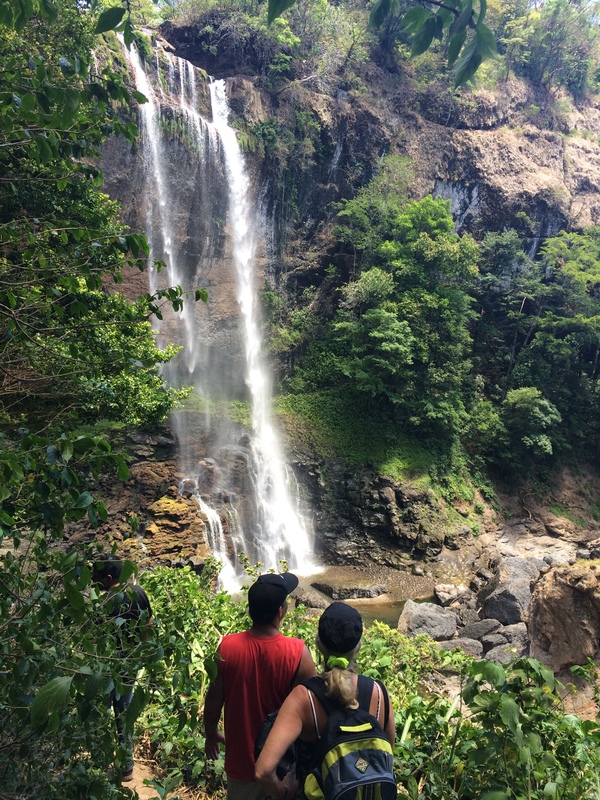 I just love that photo of the two of you under the waterfall! 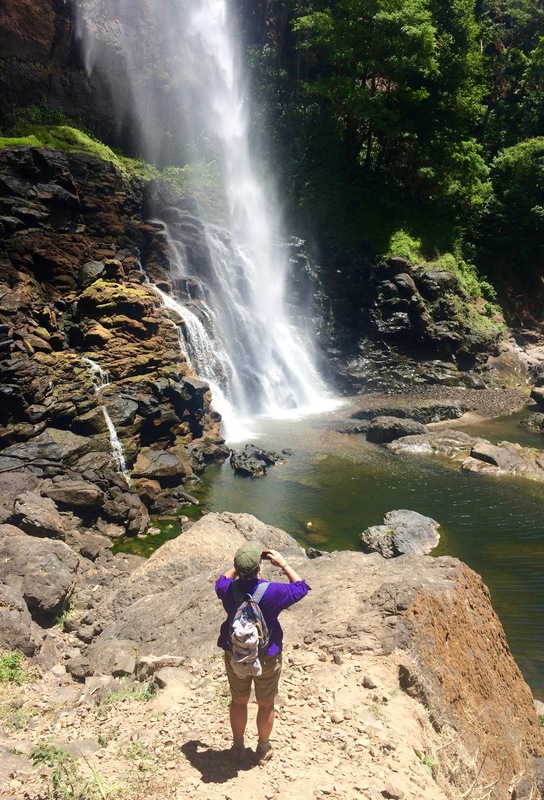 OMG your pictures of the Kiki Falls are magnificent – this would have been a great entry for the Weekly Photo Challenge. And Iove your metaphor! 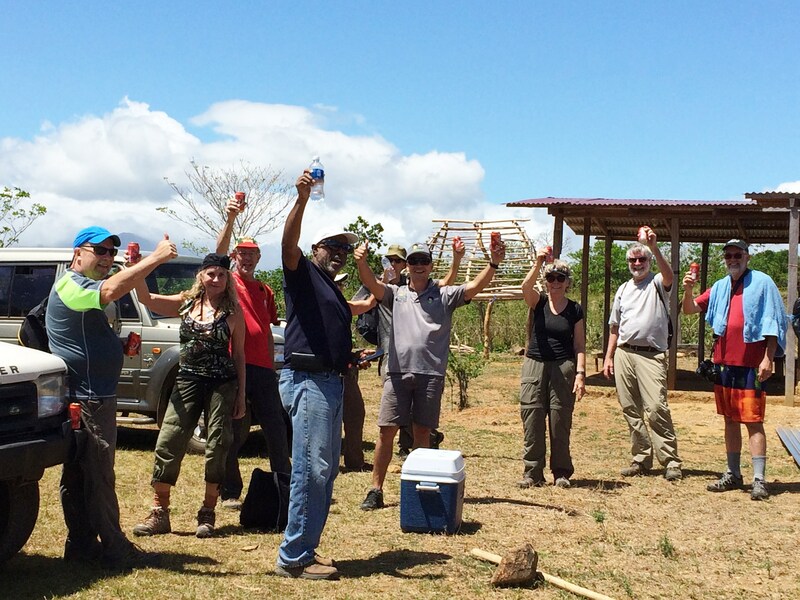 Thank you – it was just another fantastic day in Panama!